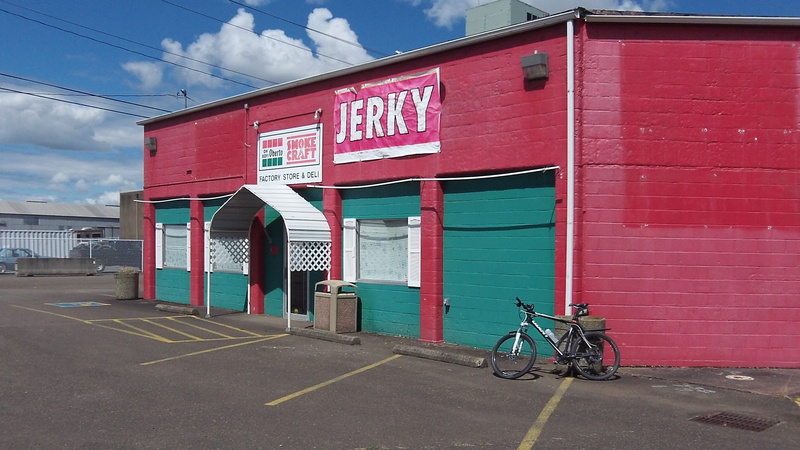 The Oberto company’s former factory store and deli on Pacific Boulevard. It was four years ago this summer that the Oberto Sausage Co. closed the Albany plant it had bought from Smokecraft about a dozen years before. But as you can see, the old signs are still up. I wonder if any out-of-towners passing by on Pacific Boulevard see the sign and stop, hoping to load up on jerky only to find the place closed. 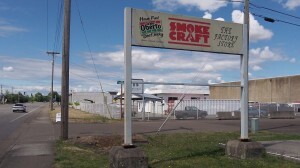 Forty-three Albany jobs were lost when the factory closed in 2010, according to a report in the local paper at the time. By that time the work force had been much diminished from a reported 390 at the time of a fire in 2002. Oberto, based in Kent, Wash., still owns the seven tax lots that make up the vacant plant, according to Linn County tax records available online. 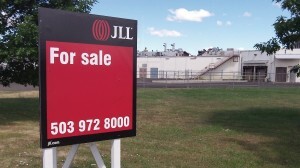 The company has been paying taxes on the land (a little more than 5 acres) and the idle buildings. Last year, the individual tax lots had a combined real market value of $769,600, according to the assessor. The combined tax bill before discounts for timely payment in 2013 was $11,251. That was a far cry from when the plant was still operating. The main tax lot, at 850 30th Ave. S.W., once had a maximum assessed value of nearly $7.5 million, and its tax bill alone was $103,269 in 2010, before dropping to about $54,000 in 2011 and to $4,963 last year.